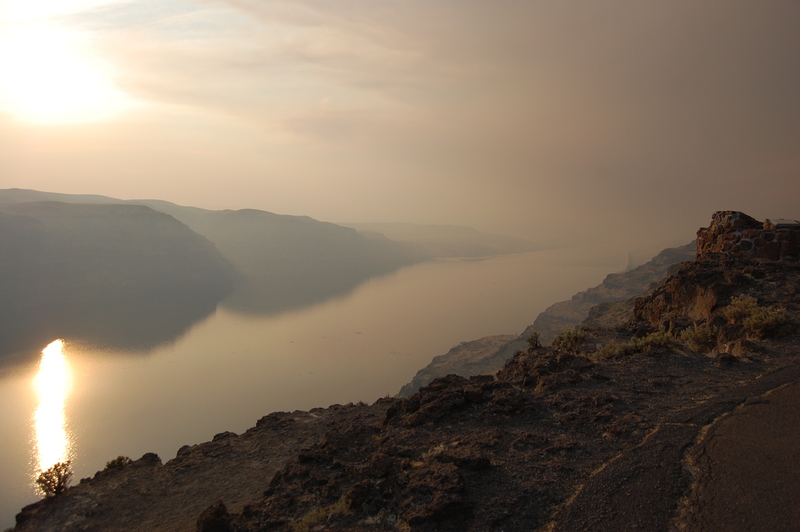 Almost through the mountains: The Columbia River through Trev’s lens. REDMONT, Wash. – I cried when I saw the mountains. Not because of their incredible beauty, but because I knew I’d have to cross them. I recognize that the Rockies are a true wonder of the world. I respect the awesome chain of events that had to happen to create them. I admire their power over giant weather systems and have marvelled at satellite pictures that show them as a great raised scar along our coastline. But I do not like them. They encroach on the big sky I’ve enjoyed for days. They box me in. There is no way around them. I hate driving in them, despise roller-coaster roads that vanish then suddenly reappear but at a deadly, twisting angle. And so I cried when I saw them and knew I’d have to conquer them again. It took me two days, with a stop for the night in a bowl-shaped valley and a harrowing nighttime last haul to Seattle. Yet I did it. I am through the mountains. They are at my back, where they belong. I appreciate your perspective. I viewed your picture and was in aw of the beauty, which most people express when they see such a picture. I shook my head in understanding after reading your analysis of the mountains. Every experience of driving in the mountains, for me, has been anything but beautiful. It gives me anxiety just thinking about. I do appreciate their beauty but don’t hold as much appreciation…well no appreciation for their roller-coaster effect as you described it. Glad to hear (read) you made it over and through. Safe travels!! And you will never have to cross those mountains again. Not those particular mountains. We’re heading east from much farther south.